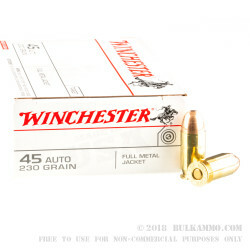 Classic hardball .45 ACP ammunition in the form of one of the most beloved value lines in history: Winchester white box. 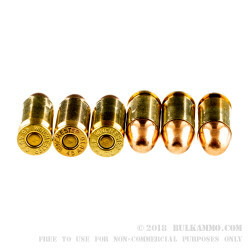 This is a cheap shooter ammo, with a 230 grain projectile that once you shoot, you can’t help but enjoy shooting it. It’s a slow rolling, low recoiling .45 Auto FMJ load that offers everything you need in range rounds without the baggage that comes along with more expensive rounds that just don’t quite perform. You just cannot go wrong with this American hardball. It’s super reliable, not particularly memorable in and of itself, but offers just the right amount of power and restraint to make the shooting trip super memorable every time. Winchester has more than a century and a half of proof in their system, their engineering and their production. Winchester White Box is probably one of the most recognizable ammunition in the United States, and for good reason. It just delivers every single time. 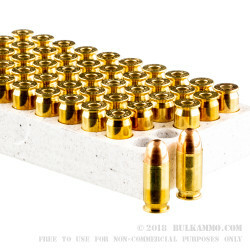 Nothing over the top, and not a particularly potent defensive round when you consider the various hotter hollow point rounds available, but this load is just the most consistent year in and year out at a value price you can’t beat. 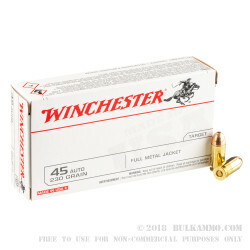 If you want a trip to the range without hiccups or a fun time out with friends because every round fired, pick Winchester White Box. It’s proven itself time and again, and it’s here, at every range because it always does the job.